OK, so this might have been quite an obvious answer and you probably think “oh how predictable”, but seriously, come on. This man proved that being the youngest and the quietest doesn’t mean you get to be invisible and unheard of. Sure, he was The Quiet Beatle, but he’s the one who wrote Something and Here Comes The Sun. Also, it was him who made such a breakthrough with the sitar on Norwegian Wood, and also Taxman. And let’s not forget about his spirituality. This was the man who went out in search of his own spirituality, enjoyed it so much, managed to stick to it, and absolutely committed to it 100%. You don’t get such quality in most people even these days, especially in the celebrity world. Bloody hell, even I myself am not sure I can be as committed as he was. His twisted sense of humour. Even from as early as Taxman, you could see clearly his sarcasm and very dry humour. Then came This Song (the song AND the video!) in response to the My Sweet Lord lawsuit. Also, his strong ties to The Monty Python. Best of all had to be his last words to Ringo, which was “Do you want me to come with you?”, when Ringo told him his daughter had a brain tumour whilst visiting George who was.. well, terminally ill. Can anyone get any more witty on their death bed? Don’t suppose so. Bloody hell, he suffered more than forty stab wounds when someone broke into his house and attacked him, and what did he have to say about the guy? “[he] wasn’t a burglar, and he certainly wasn’t auditioning for the Traveling Wilburys”. COME ON. His big heart. The fact that he stayed best friends with Eric Clapton even after Pattie ran off from him to marry Clapton. His charity work through Concert For Bangladesh. His love for Olivia and Dhani, which is absolutely out of this world. His way of supporting the Pythons by creating HandMade films just so he could help produce Monty Python movies. And what’s more, even after all the success and whatnot, his favourite thing to do was gardening. This is a Beatle we’re talking about, not just some musician. And he was into freaking gardening. So yeah, this is why I pretty much had an absolute mental breakdown in 10th grade to the extent that I had to skip school when I heard the news of his passing. 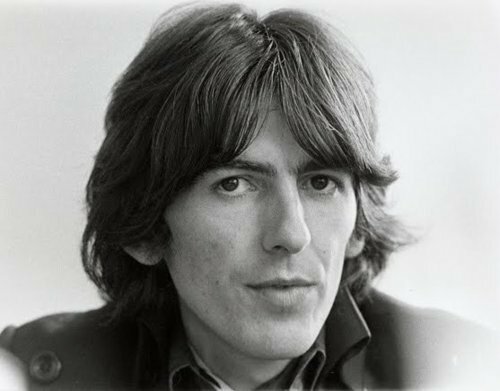 I seriously can’t find anyone more inspiring that George Harrison.